Earn up to 30,912 reward points. Like all Pearl flutes, the PFB-305 features a pinless mechanism and one-piece core-bar construction. The PFB-305's headjoint is designed to achieve dramatic resonance and ease of response at all dynamic levels in any octave. 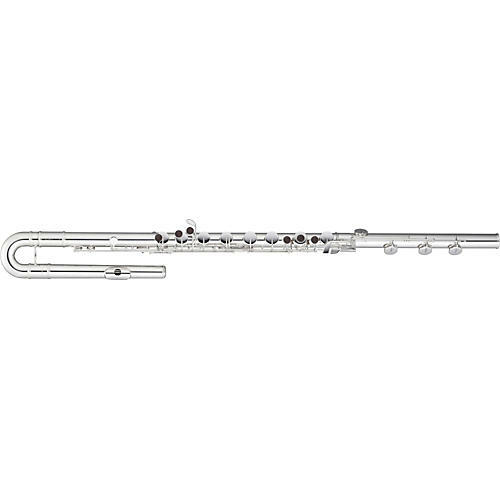 The Pearl mechanism, balance, silver-plated headjoint, body, and footjoint, make the PFB-305 an excellent choice for any player in solo repertoire, chamber music or in flute choir. Features also include stylish wooden touch pads, French pointed arms and a hand turned T style left hand support. The PFB-305 comes standard with a French style case, Fleece lined case cover,cleaning rod, gauze and polishing cloth.